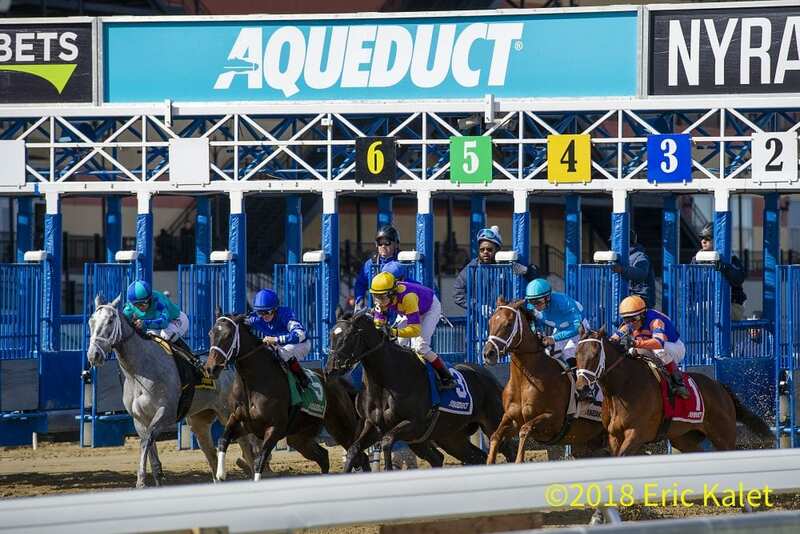 The New York Racing Association (NYRA) has announced purse increases across a number of categories for the upcoming winter meet at Aqueduct Racetrack. The Aqueduct winter meet is slated to begin Friday, December 7 and will feature significant purse increases in both New York-bred and open categories, including an $8,000 increase in open maiden allowance races, which will now be contested for $68,000 and a $5,000 increase in New York-bred maiden allowance events which will now go for $60,000. First and second level New York-bred allowance categories will see 'non-winners of one' purses increased to $64,000 from $57,000, while 'non-winners of two / $40,000 claiming' purses are boosted to $67,000 from $59,000 a year ago. Open allowance events will also be bolstered with optional claiming allowance races offered for $82,000 (+ $7,000); 'non-winners of three / $80,000 claiming' will run for $80,000 (+8,000); 'non-winners of two / $62,500 claiming' events will now be contested for $75,000 (+ $6,000); and 'non-winners of one' will go for $70,000 (+$3,000). Increases have also been applied to purses in certain claiming categories, with purses going up by increments of $1,000 in the 'non-winners of three / $25,000 claiming', 'non-winners of three / $14,000 claiming', and non-winners of two / $16,000 claiming' to purse values of $37,000, $28,000 and $28,000 respectively. An increase of $2,000 per category will be realized in the '$16,000 claiming', 'non-winners of two / $40,000 claiming' and non-winners of two / $25,000 claiming' conditions, boosting each respective purse to $32,000, $42,000 and $36,000. Live racing continues at Aqueduct through the Thanksgiving weekend from Thursday through Sunday. Thursday's 9-race Thanksgiving Day card kicks off at 11:50 a.m. and features the Grade 3, $200,000 Fall Highweight, the $150,000 Winter Memories and the $100,000 Central Park. Gates open at 10 a.m. This entry was posted in The Biz and tagged joe appelbaum, martin panza, New York racing, nyra, NYTHA, Purses by NYRA Press Office. Bookmark the permalink.